Popular lawyer and Buhari campaign spokesman, Festus Keyamo has reacted to the allegation that he paid Charly Boy money running into about N100million for a song against Atiku Abubakar. "Anybody who thinks that I would pay one naira for a song that also abuses APC, you know the song also abuses APC? It says both APC and PDP are the same. Anybody who thinks that I would pay one naira for that kind of song, the person should go and examine his head,” he said. 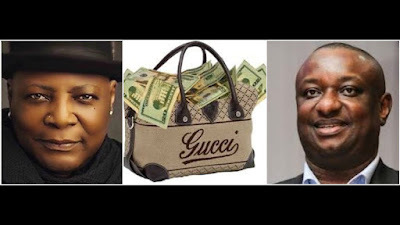 Recall that Charly Boy had alleged that Keyamo came to his office, heard a diss song he was working on before the election and paid him some money for it. He admitted that the money was in “nine figures” mentioning no specific amount. So, if the money Mr Festus Keyamo "gave" to Charly Boy wasn't for the song, what was the purpose?